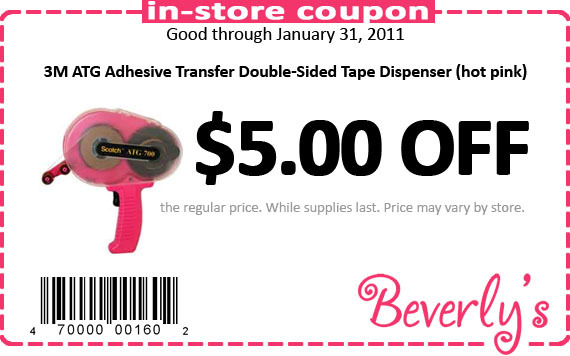 Receive $5 off the regular price of the 3M Adhesive Transfer Tape Glider (in a stylish hot pink) when you print out our January in-store coupon. Easily apply a controlled layer of double-sided tape to any surface with a touch of the trigger. Mess free!